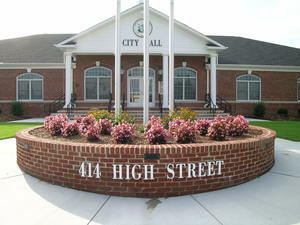 Seaford’s former City Hall, located on King Street in Seaford, Delaware, and built in 1960, was extremely outdated and inadequate in providing the functions the City currently requires. Lack of office and storage space, as well as mechanical and electrical issues, were a few of the main concerns. The City of Seaford teamed with GMB to design and construct a new municipal office building on the corner of High and Market Streets. The purpose of the new building was to provide the City with a larger, more efficient facility to house Council Chambers and various administrative offices. In order to accommodate site and budget constraints, GMB worked closely with City employees to finalize the design of the building. A building committee was formed and produced a conceptual layout for the new city hall. GMB was able to modify this design to effectively position the building on the site and to enhance the architectural appeal of the building. This team effort allowed GMB to take the committee’s ideas and make them work. Modifications were made to the originally proposed facade, in order to integrate architectural elements from the downtown area into the design. For instance, the arches on each window were added specifically to match other buildings on High Street. GMB was challenged by various issues, such as expanding the size of the building, orienting the building at a 45 degree angle, accommodating the drive thru traffic flow, matching the downtown streetscape, and working within the City’s budget. In addition to working through these challenges, GMB was able to implement other ideas into the design. A full basement was constructed to give the building more storage, and a raised flower bed was added to the landscape to offer outdoor seating. Inside, the lobby area was designed to make a statement, with an innovative vaulted ceiling, intricate molding, and accessibility from the front and back entrances. 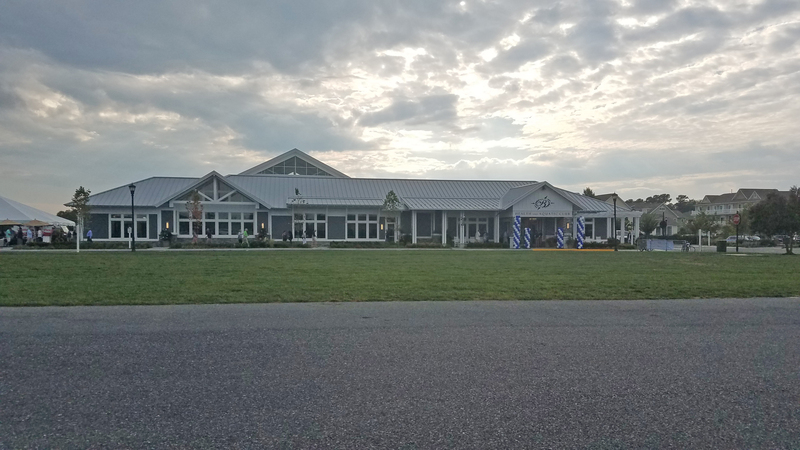 Through teamwork, the City of Seaford, the building committee, and GMB worked from conception to construction to make the new City Hall a reality.